A sea mineral moisture formula with a delightfully lightweight texture. 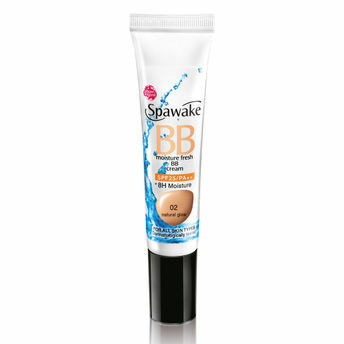 Spawake Moisture BB Cream Perfect Glow spreads smoothly over skin for an instant burst of fresh moisture. A unique BB Cream with SPF 25/PA++ that corrects your skin tone and feels like a skincare cream. Explore the entire range of BB & CC Cream available on Nykaa. Shop more Spawake products here.You can browse through the complete world of Spawake BB & CC Cream .Alternatively, you can also find many more products from the Spawake Moisture BB Cream 02 - Natural Glow range.